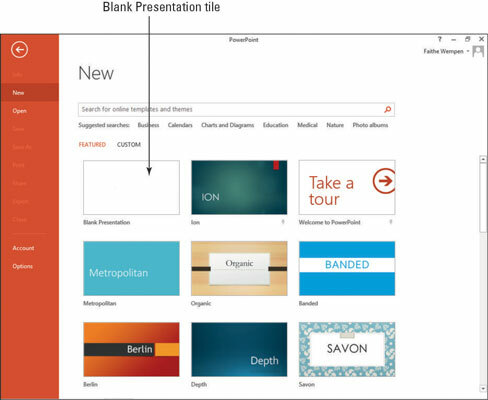 PowerPoint 2013 templates give you a jump start to creating complete presentations. Each template employs one or more themes. A theme is a collection of settings including colors, fonts, background graphics, bullet graphics, margins, and placement. A template is a reusable sample file that includes a background, layouts, coordinating fonts, and other design elements that work together to create an attractive, finished slide show. Templates may (but are not required to) contain sample content, too. Backstage view opens, displaying tiles for various types of presentations you can create. 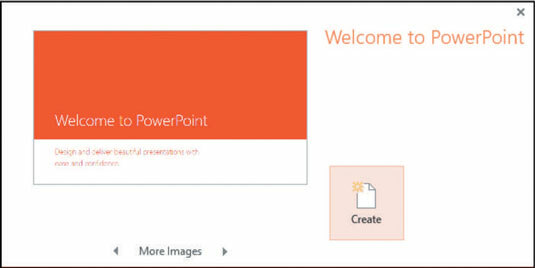 2Click the Welcome to PowerPoint tile. An information box appears for that template, as shown. 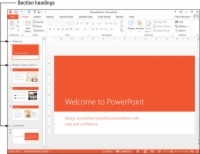 A new presentation is created based on that template. It includes a theme and five sample slides, as shown. 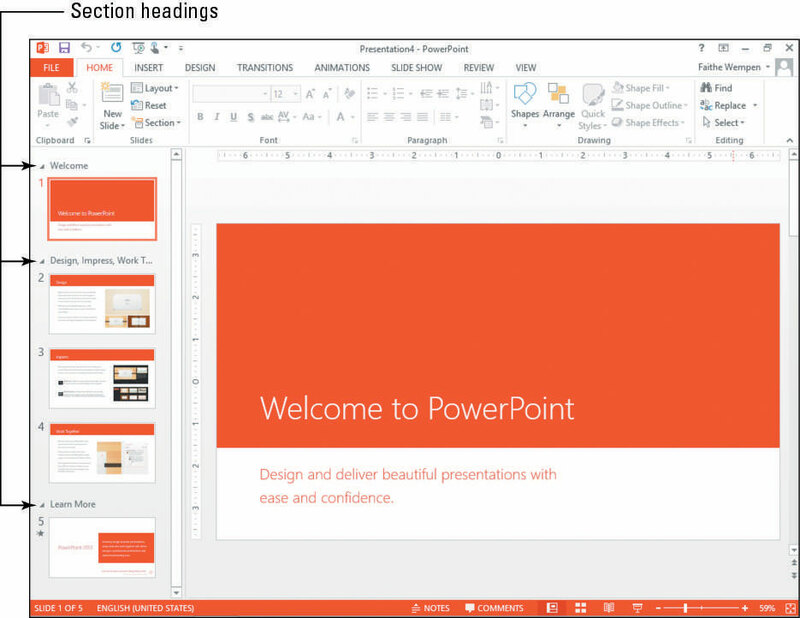 Notice that the headings in the Slides pane are separating the slides into groups. These groupings are called sections and are optional to use.